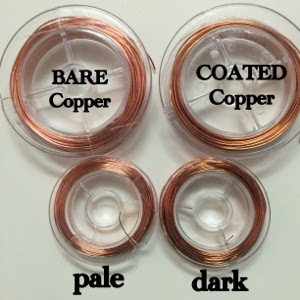 There are two types of craft copper wire available in local craft stores. 1. BARE COPPER wire ( left in pic). The color is usually pale and shiny. The pale color can sometimes look similar like rose gold pink. It is not coated and can go thru patina process. This bare copper wire will tarnish quickly too when comes in contact directly with hands while you work with it. 2. COATED COPPER wire (right in pic). The color is usually darker with dark orangish tone. This type of copper wire is coated with a layer of polyurethane that prevents it from tarnishing. As long as the coating is not scratched, torn or wore off the color stays the same. The reason am writing this is because my students get confused as to why some of their handmade copper jewelry pieces changed color as compared to other pieces they made bought from the same craft supply shop. When i compare both wires together, it is obvious one is BARE copper while the other is COATED copper wire and they are both labelled the same as COPPER wire. It all boils down to the label. Some suppliers do not label their craft copper wires right! 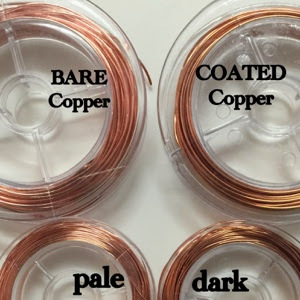 The usual label shud say BARE COPPER or NATURAL COPPER (for coated wires) but there are suppliers that labelled their copper craft wires as just COPPER wire without informing crafters whether its BARE or COATED wires. 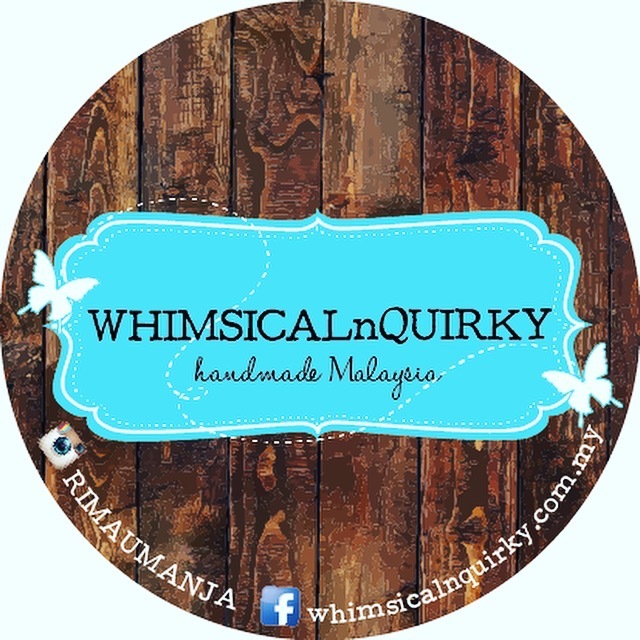 Therefore i hoped that crafters can learn to tell the difference when they do come accross copper wires that are labelled as just COPPER wire.